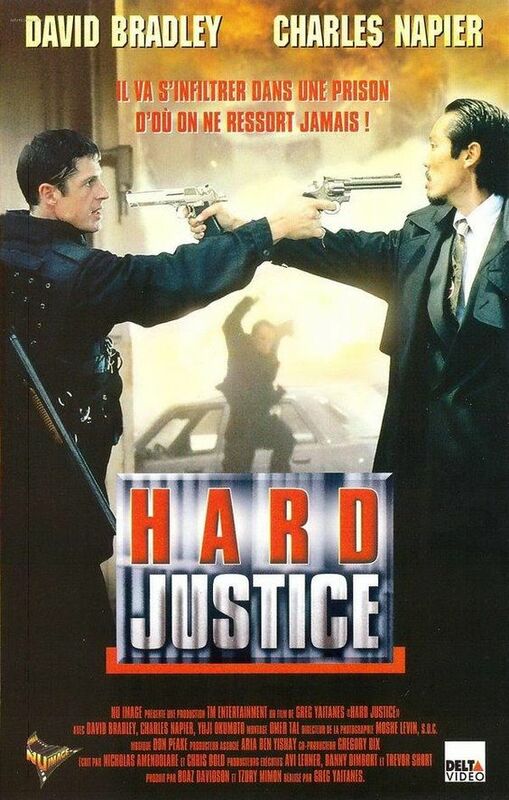 Chrichton's World: Review Hard Justice (1995): Hard Boiled meets Death Warrant? They wished! Review Hard Justice (1995): Hard Boiled meets Death Warrant? They wished! There is no denying that Hard Justice has borrowed elements from Hard Boiled and Death Warrant. I must admit that is actually why I even cared to check this film out. Unfortunately director Greg Yaitanes lacks the insight, vision and skill of John Woo to make it work. To be fair I never expected that in the first place. However I had hoped that at least some scenes would come close to the excitement John Woo offered. The shoot-out scene in the prison slightly before the finale certainly was decent. The opening scene that tried to mimic the warehouse scene of Hard Boiled was bad. Real bad. It still amazes me how some film makers don't grasp the idea what makes an action scene work. Apart from choreography and style you need to put in that something extra to make it exciting. David Bradley does his best to compensate the lack of story or context to do exactly that. But he is let down by a plot that is sheer rubbish. Especially the supposedly earth-shattering twist that makes you realize that more than ninety percent of the film is completely redundant. It probably won't surprise you that there is not that much plot for an eighty eight minute film. What is Greg Yaitanes' solution for this problem. To replace lack of plot and characterization with action, action and more action. Normally I would applaud this if that action was something to get excited about. But it's not. It's decent but far from memorable. Plus for the most part it's a repeat of the same action over and over again. That gets boring real fast. Like I said David Bradley tried hard and I feel sorry for him since I do think he deserved better. He had everything to become a big action star like Michael Dudikoff and yet never managed to. But it's not him. It's the studios and producers who failed him. I read that he stopped making films to pursue a career in the circus. Sounds real far fetched but if this is true we got robbed a charming action star that could deliver the action we crave.